This booklet is not a substitute for treatment. It has suggestions to help you stay off drugs & alcohol and information to help you to take your first steps into recovery. Not all of the suggestions will apply to your circumstances. Just do what works for you. Maybe you cannot control your need for alcohol or drugs, even in the face of negative health, social or legal consequences. Keep doing what you are doing and you will keep getting what you are getting. The thought of stopping drinking or using drugs can be terrifying to us that depend on them. Recovery costs nothing. The alternative (not stopping) can cost you everything; your family, your self-esteem, your house, relationships. The lot! The fact of the matter is this. If your using is a problem and you cannot stop, you need Recovery. Recovery happens in stages. The first stage is the very big adjustment while your body and brain get used to not having drugs or alcohol. This stage can be a very bumpy road to travel and can take weeks or months, depending on your habit and personal situation. There will be tough days round the corner. The best thing about the future is that it only comes one day at a time. But nothing will change unless you change. 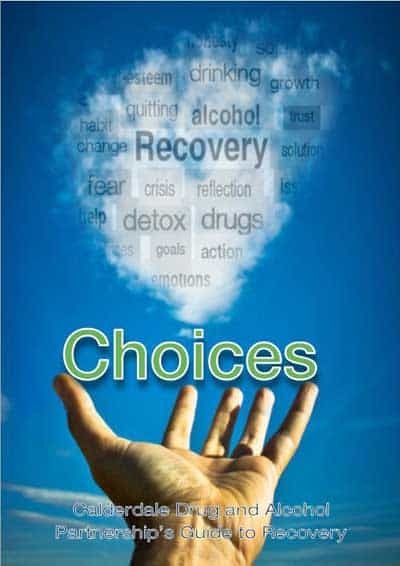 Part one of this booklet has suggestions that can help you avoid drugs and alcohol while you make this adjustment. Part two is about longer-term recovery. When you have adjusted to being abstinent and the road feels less bumpy, you will move into longer-term recovery. You will set new goals, make better decisions, and plan your time. Part two will explain why these things are important and how they work. So what are you waiting for? Let’s go! You’re not alone, there is help and YOU CAN DO THIS.